Though cannabis is used as a wonder plant in the treatment of various ailments, patients are denied cannabis-based medicines in India. Experts say that India needs to tweak its legal, regulatory system to establish newer categories of medicinal products derived from cannabis so that cannabis-based medications become more widely available. In the last few years, cannabis has made its way into the medical mainstream in Western nations owing to its efficacy in multiple health conditions, but in India, patients are denied cannabis-based medicines despite the country having a tradition of thousands of years of using the properties of this miracle plant. India needs to tweak its legal, regulatory system. Experts said this at a conference titled "Cannabis R&D in India: A Scientific, Medical & Legal Perspective," jointly organized by the Bombay Hemp Company (BOHECO) and the Council of Scientific and Industrial Research (CSIR) Indian Institute of Integrative Medicine (IIIM). The day-long conference saw participation of prominent medical experts, policymakers and researchers, including Dr. Jitendra Singh, Minister of State for Prime Minister's Office; Dr. Ram Vishwakarma, Director - CSIR-IIIM; Dr. Rajendra Badwe, Director, Tata Memorial Centre, Mumbai; Dr. Dharamvira Gandhi, Member of Parliament (Lok Sabha); Dr. Rajender Pal Singh, Former DDG (North Zone), Narcotics Control Bureau; Dr. Sanjay Kumar, Director, CSIR-Institute of Himalayan Bio-resource Technology; Dr. Manjari Tripathi, Head (Neurology), All India Institute of Medical Sciences; Dr. Anurag Srivastava, Head (Surgery), All India Institute of Medical Sciences; and Jahan Peston Jamas, Co-founder, Bombay Hemp Company. Said Dr. Jitendra Singh, Minister of State for Prime Minister's Office: "Since ancient times, cannabis-based products like Bhaang have been a part of Indian culture, social customs, and festivals. There is a very thin line between use, misuse, and abuse of a substance, and it is our responsibility to draw that line so that we do not throw the baby out with the bathwater. Research into cannabis-based medicines is going to be very important for the management of chronic diseases like diabetes which cause excruciating neurological pain and for which currently there is hardly any relief. The age demography and epidemiology is undergoing a change in India about 70% of the population is below 40 years. However, the size of the elderly population is going up too, as lifespan increases. Due to this, the incidence of diseases and malignancies that happen in the later decades of life is rising. Worse, people are getting afflicted with diseases of the elderly like diabetes at a much younger age. This is a big challenge. The world clinically overcame communicable diseases in the 1950s. 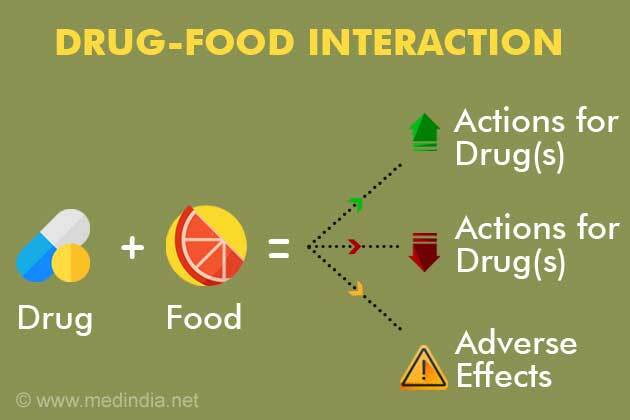 Now, as the incidence of non-communicable diseases increase in India, we need to conduct pioneering research on drugs originating from plants and herbs found in the Indian mountainous regions. In the middle of the last century, such research gave us mint, which has now become an internationally used product. We need to replicate this kind of success by exploring the full medicinal potential of cannabis for the treatment and management of pain and health conditions for which there is currently no effective cure." Said Jahan Peston Jamas, Co-founder, Bombay Hemp Company: "Chronic diseases are on the rise in India, and existing medical solutions are not proving adequate. 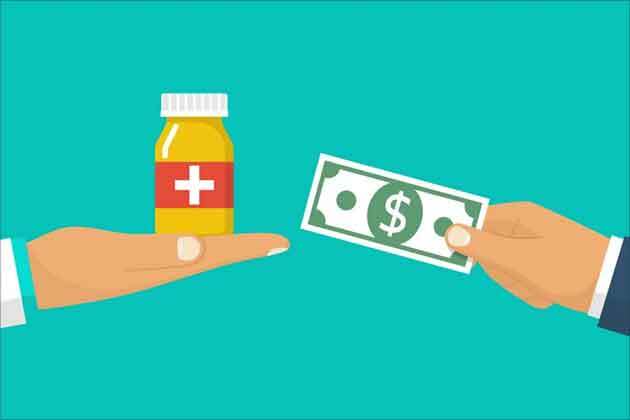 In this scenario, cannabis-based medicines can offer a high-quality, cost-effective solution for patient populations across urban and rural India. The geriatric population of India is poised to reach 100 million people by 2020-2025. Unfortunately, R&D work with other forms of medicine for several critical conditions afflicting the elderly has plateaued. Cannabis has properties of binding with CB1 and CB2 receptors within the human body. Health conditions like mental disorders, rheumatism, osteo-based ailments, and heart diseases can be greatly alleviated with the use of cannabis which has almost negligible side-effects, as shown by a range of global regulatory and research work." Talking about why cannabis-based modern medicines have a nominal presence in India, Avnish Pandya, Director of Research & Development, Bombay Hemp Company, said: "Any medicine requires a standard, stable and predictable dosage for it to be clinically effective. In India, there is a lack of distinct standardized cannabis plants with standard cannabinoid output derived from their flowering tops to get consistent medicine. There is also a lack of clinical trials on cannabis and its isolated compounds. Clinical trials are based on single molecule compounds due to their predictability, in contrast to Ayurvedic medicines which represent a multi-compound, multi-faceted approach towards medicine. So, either cannabis has to walk down the path of clinical trials, or clinical trials have to accommodate multi-compound, complex formulations. The lack of regulatory clarity on cannabinoids other than THC (the psychoactive compound), combined with the socio-cultural stigma of cannabis consumption since 1985, has contributed towards the absence of cannabis-based medicines in the Indian market." Said Dr. Vivek Benegal, Professor, Centre for Addiction Medicine, NIMHANS: "Though cannabis is a psychoactive drug and causes intoxication, its addictive potential is lower than that of tobacco, alcohol heroin, cocaine, etc. The cannabis plant and its commonly used forms like ganja, bhang, charas, etc. contain many chemicals which are not psychoactive and are seen to have opposite actions to that of THC (the predominant chemical which causes intoxication and addiction). One such chemical, Cannabidiol, is arousing interest in the scientific community due to its medical and therapeutic capabilities. It is observed to reduce the intoxicating and addictive properties of THC in cannabis addicts. This is interesting since there are currently no licensed treatments for persons with cannabis dependence. Some early studies have explored the beneficial effects of Cannabidiol on persons addicted to opioids like heroin, alcohol and even tobacco. This chemical will have useful applications in the treatment of addictive disorders. But before that, the molecule must be subject to stringent and scientifically rigorous testing. This is difficult due to its current ambiguous position under the law in India, especially the NDPS Act." Said Prasanna Namboodiri, Senior High Court Advocate dealing with NDPS matters: "The bar under Section 10 (2) (d) of the NDPS Act, 1985, requiring cannabis to be delivered by the cultivators to the officers of the state government is a major impediment in the cultivation of cannabis plant for medical and scientific purposes through extraction of cannabinoids. The failure of many state governments in India to frame NDPS rules providing for the cultivation of cannabis is a major hurdle. Such cultivated cannabis cannot be resold to private entities by the state governments for the extraction of cannabinoids in the absence of any provision in the NDPS Act. Due to this, private entities do not have any role to play in the extraction of cannabinoids for use as medicines. Participation of private entities in post-cultivation activities for medical benefit would require extensive amendments to the NDPS Act. These should aim to transfer the power to control, permit and regulate the cultivation of cannabis and extraction of cannabinoids for use as medicines, from the state governments to the Central government on the same lines as was done for poppy straw from which juice has not been extracted." Experts pointed out that Western countries are much ahead in R&D of cannabis-based medicines compared to India. Said Jahan Peston Jamas, Co-founder, Bombay Hemp Company: "In Canada and USA, cannabis-based medicines have always had distinct channels within the regulatory framework for trial, experimentation, and application of new medicines and drugs, to be utilized for patient populations facing orphan or rare diseases. Recently, the FDA categorized a cannabis-based medicine Epidiolex as a Schedule V drug (limited potential for abuse). it also approved two drugs containing synthetic Cannabinoids (Nabilone, Dronabinol) for research and medical applications. The Canadian Government has created a Medical Marijuana Access Program which acts as a foundation for patients to obtain certification from their doctors and access to standard, high-quality grades of cannabis in multiple forms. Since 2005, a plant-based cannabis medicine (Sativex) has been made available for patients suffering from cancer-based pain. Since June 2018, there have been 330,000 medical cannabis clients and patients registered in Canada alone. India has a lot to learn from such countries, right from the standard cultivation of cannabis plant to product development and access programs for patients." Speaking at the conference, experts said that India lacks three very Important aspects to bring it up to the level of Western nations regarding cannabis-based medicines. These include non-availability of standard cannabis varieties or strains which will have predictable outputs; negligible clinical research on cannabis due to lack of standard material; and absence of standard product development from standard cannabis varieties. 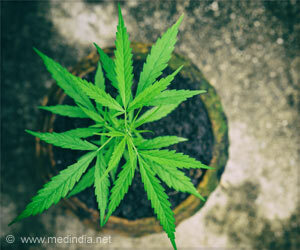 They asked the Indian Government to provide support on the plant-breeding side of cannabis ecosystem, as standard cannabis has not been bred in India since 1985. The panelists recounted several myths surrounding cannabis-based medicinal products. These include the myth that synthetic cannabinoid-based medicines have greater efficacy, predictability, and safety, compared to-based cannabinoids. They said that it is wrong to think that the major method for ingestion and consumption of cannabis-based medicine is through smoking. There are multiple forms of administration of cannabis with considerably lesser health risks, such as capsules, oils, tinctures, patches, sub-lingual sprays and vaporizers. Talking about the main challenges in the production and consumption of cannabis-based modern medicines, Dr. Dhiraj Vyas, Head of Dept. - Plant Biotechnology, CSIR-IIIM, said: "There are no standard varieties or seeds of cannabis to cultivate in India. As cannabis is considered a narcotic commodity under the NDPS Act, research is restricted due to the non-availability of research-grade material. Research projects to produce standard varieties of cannabis have only recently begun in India by CSIR-IIIM in collaboration with the Bombay Hemp Company, and there are no standard extracts from which medicines can be produced. Since there are no standard medicines available, patients are reluctant to try cannabis in the form of oils, etc. and doctors lack awareness about endocannabinoids and the endocannabinoid system that is present within every mammal. As a result, only a few doctors in India are currently in a position to prescribe cannabis-based medicine to anyone." Experts felt that the cannabis plant is a victim of misperception despite being an integral part of Indian culture. For thousands of years, it has been a trusted ingredient in the treatment of various ailments. Cannabis is mired in ambiguity when it comes to its application in modern healthcare. Cannabis users are at an increased risk of developing osteoporosis and fractures later in life due to reduced bone mineral density, claims a new study.